Check Your Thermostat. Is your thermostat set at least 10° higher than the current room temperature? Note: Make sure your thermostat is in the "Heat" position marked in the above photo. 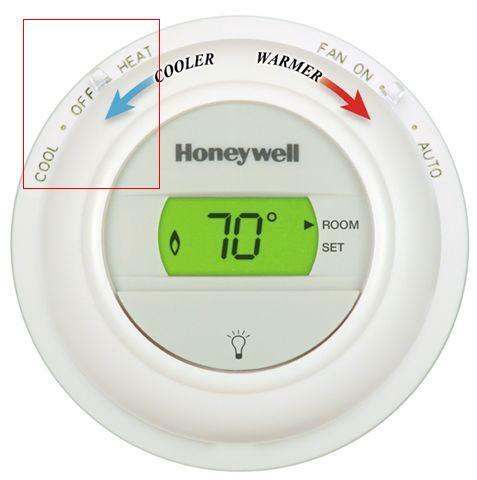 Turn your thermostat up at least 10° above the current room temperature. Did your heat come on? Note: If you have a programmable thermostat you may need to replace the batteries. Is the emergency switch for the system in the "On" position? Flip the emergency switch to the "On" position. Did your heat come on? Did the circuit breaker trip, or did you blow a fuse? 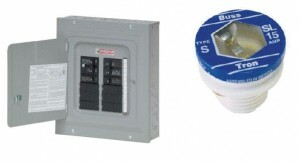 Reset any tripped breaker(s)/replace any blown fuse(s). Did your heat come on? Do you currently have oil in your tank? For underground tanks, remove the fill cap and insert a tape measure into the tank to measure the amount of oil. Do you have a boiler or a furnace? If you have baseboard or radiators in your house, you have a boiler. If you have registers or vents that are connected to ducts, you have a furnace. 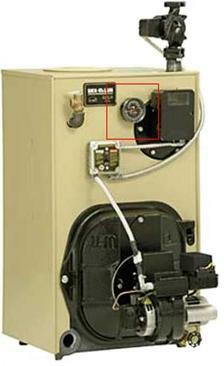 Do you have a hot water boiler or a steam boiler? If you have a gauge glass, then you have a steam boiler. If you have a temperature & pressure gauge, then you have a hot water boiler. Is the water level in the gauge glass at least half full? If the water level in the gauge glass is not at least half full you must add water to the boiler. Did your heat come on? Press and hold the RED reset button for three seconds. Did your heat come on? Note: Do NOT press the reset button more than once. Pressing the button more than once may damage the heating system and possibly your home, which could result in costly repairs! 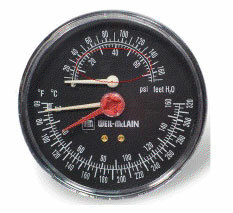 Check your temperature & pressure gauge. Does it read between 12+15 psi? 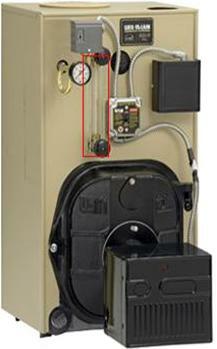 If your temperature & pressure gauge doesn’t read between 12+15 psi you must add water to the boiler. Did the heat come on? 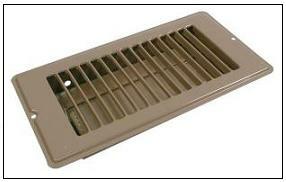 Note: A clogged air filter could cause the system to overheat and shut down. Note: Do NOT press the reset button more than once. Pressing the button more than once may damage the heating system and possibly your home, which could result in costly repairs. Congratulations, you just saved yourself the cost of a service call.